See the work of 70 local artists at 27 different venues across Worcestershire in studios, homes, galleries and exhibitions over the August bank holiday weekend. 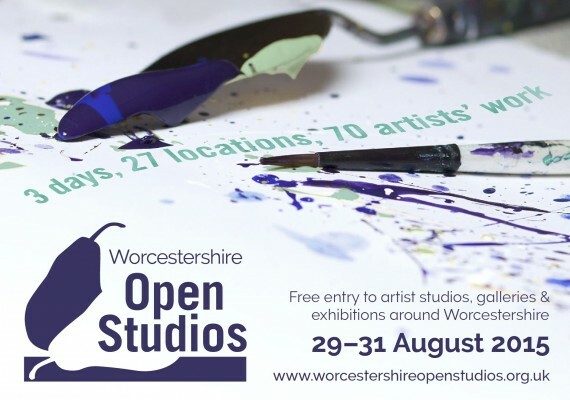 For three days from 29 to 31 August, Worcestershire artists, art groups and galleries are opening their doors, to the public. 70 artists’ work will be on display at 27 locations across the county. From drawing, painting and print-making, to glass, pottery and sculpture, there’s plenty on offer for everyone. Entry to all venues is free. Guides containing details of all the venues, opening times and examples of some of the work that you will be able to see over the weekend will be on our website and available from libraries, Tourist Information Centres and other locations towards the end of July.